The Women Human Rights Defenders International Coalition (WHRD IC) has learned with deep sadness of the killings of LGBTI rights defenders in Honduras. WHRD IC - a global network made up of 32 organisations, including Front Line Defenders - calls on the Honduran government to provide a safe and conducive environment for LGBTI defenders and their work. 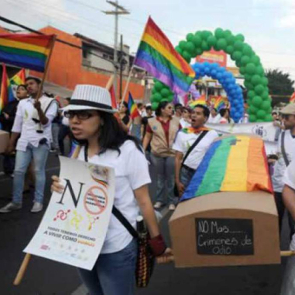 Since 23 June 2015, five LGBTI rights defenders have been killed; Juan Carlos Cruz Andara, Angy Ferreira, Violeta Rivas, Gloria Carolina Hernández Vásquez, also known as Génesis Hernández and Jorge Alberto Castillo. Angy Ferreira and Violeta Rivas were also trans women, a fact which, coupled with their human rights work, meant that they were doubly targeted. They were also members of the Asociación Arcoiris, which works for equality and equity for the LGBTI community in Tegucigalpa and all of Honduras. Angy Ferreira was also a member of the Kukulcán association, and Violeta Rivas of the Cozumel Trans association. Génesis Hernández, a poet, and Jorge Alberto Castillo collaborated with the Asociación por una Vida Mejor - APUVIMEH (Association for a Better Life). As the WHRDIC, we recognise their valuable contributions to advancing the rights of the LGBTI community in Honduras, and celebrate their inspiring activism while commemorating their loss. The Asociación Arcoiris has continued its work despite its members having to flee the city, and sometimes the country, owing to the situation of extreme violence against them. Since April 2015, human rights defenders Esdra Yaveth Sosa Sierra, Ruby Ferreira, Kendry Sayury Hilton, Faviola Yescas, Wilmer Rodas and Donny Reyes have all been subjected to serious threats and intimidation. Further, human rights defender Marco Aurelio López was the target of an attack of such violence that he could easily have lost his life. Members of APUVIMEH were arbitrarily detained for one day and harassed by police afterwards. Most worrying of all is that the perpetrators in many of these cases are easily identifiable as members of state security forces. APUVIMEH have had to request protection measures from the IACHR. However, despite the Asociación Arcoiris and Donny Reyes being beneficiaries of precautionary measures from the Inter American Commission of Human Rights since 2010, many of their members have had to flee anyway, fearing for their lives due to lack of appropriate protection offered by the state. For example, the provision of security guards only contributes to intimidate LGBTI defenders in the course of their work. There is a persistent pattern of this type of violence towards the LGBTI community in Honduras, which has worsened since the coup in 2009. Despite Honduras having recently appointed a special prosecutor to investigate hate crimes against the LGBTI community in the country, the situation remains dire for defenders of the community. There is also a deep societal bias faced by trans people in Honduras. According to the Commission for Human Rights, 92% of killings of LGBTI people in Honduras remain in impunity, while the “Movement for Diversity in Resistance” has stated that of 198 members of its organisation killed since 1994, 178 of those have been since the 2009 coup. 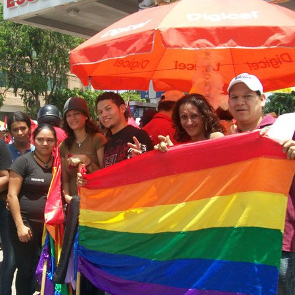 WHRD IC recognises the important and valuable work of LGBTI rights defenders in Honduras, particularly given the climate of social exclusion and hate to which LGBTI people are subjected to in the country. WHRD IC is moved by their determination to continue despite the extreme challenges they face. Article 12 of the UN Declaration on Human Rights Defenders mandates the states to take all necessary measures to ensure protection to human rights defenders. 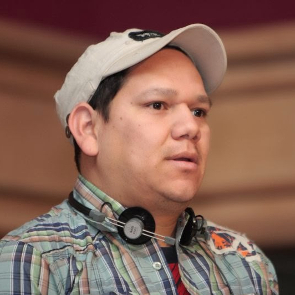 The WHRD IC accordingly calls on the Honduran government to immediately take adequate and gender sensitive measures to protect LGBTI defenders from such horrific attacks, as well as to thoroughly and impartially investigate the pattern of attacks, threats, intimidation and killings against all LGBTI rights defenders in Honduras.